The Security Council called on Hizbullah to stop interfering in the civil war in Syria, though it failed to mention the group by name. The United Nations Security Council on Wednesday called on Hizbullah to stop interfering in the civil war in Syria, though it failed to mention the Lebanese-based group by name. In its statement, the Security Council encouraged all parties in Lebanon to remain united and resist a “slide into conflict,” amid the multiple challenges to the country's security and stability, including from the crisis in neighboring Syria, as well as heightened tensions within. “As the impact of the Syria crisis on Lebanon's stability and security becomes more and more apparent, the Security Council underscores its growing concern at the marked increase of cross-border fire from the Syrian Arab Republic into Lebanon, which caused death and injury among the Lebanese population, as well as incursions, abductions and arms trafficking across the Lebanese-Syrian border,” the 15-member body said in a presidential statement. The Council noted “with deep concern” new developments with regard to the involvement of Lebanese parties in the fighting in Syria, and called on them to recommit to Lebanon's policy of disassociation, to stand united behind President Michel Sleiman and to step back from any involvement in the Syrian crisis. Initially Hizbullah said it wanted only to defend 13 Syrian villages along the border where Lebanese Shiites live, and the Sayyeda Zeinab shrine near Damascus, which is revered by Shiites around the world. However, its terrorists later encircled Qusayr with regime troops before the launch of a withering assault on the strategic border town. Hizbullah leader Hassan Nasrallah has promised that his group will be wherever is needed in Syria. As a result of Hizbullah’s involvement, the Syrian conflict has repeatedly spilled over into Syria. On Tuesday, dozens of people were wounded after a car-bomb ripped through a Hizbullah stronghold in a suburb of the Lebanese capital Beirut. The Liwa'a 313 Brigade, a faction of the rebel Free Syrian Army (FSA), claimed responsibility for the bomb attack, lashing out a Lebanon for actively assisting Hizbullah. It claimed the bombing was a response to Hizbullah participation in the Syrian regime's ongoing offensive against the city of Homs - a strategically important position and a hub of rebel activity. 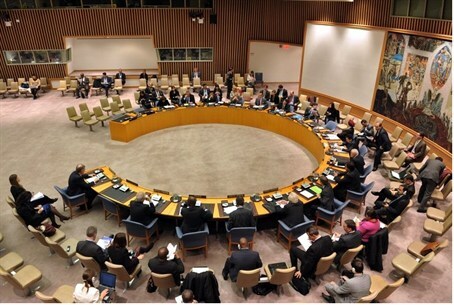 The UN statement from Wednesday noted that in his latest report on the implementation of Security Council resolution 1701, which ended the 2006 war between Israel and the Hizbullah, Secretary-General Ban Ki-moon noted with concern new developments regarding the involvement of Lebanese citizens in the fighting in the Syria. This includes Hizbullah's “acknowledged participation in and commitment to such fighting,” threats by external actors to bring their fight to Lebanon in response to Hizbollah's involvement and calls from inside Lebanon to engage in jihad in Syria, Ban wrote. “The implications of these developments for Lebanon's stability, and indeed for the region, are serious,” he warned, urging all concerned parties in Lebanon to step back from involvement in the conflict in Syria.